During the first couple weeks of January, a brown egg became a social media trend, ultimately becoming the most liked picture on Instagram (50,893,375 likes). Several brands and influencers scrambled to stay current and understand this odd media storm around an egg being more popular than them. The egg gave multiple brands and influencers something to talk about. For example, Twitter accounts including Tarte Cosmetics, Pop-Tarts, (RED), Uber Eats, and White Castle all posted tweets that incorporated the egg into an ad for their product. For the first two weeks of January, the egg was appearing on just about everyone’s timeline, proving that it was most likely going to become the most liked picture on Instagram, as well as demonstrating the power of high profile Instagram users. Although many brands and influencers incorporated the egg into their social media posts the egg’s official Instagram is “EGG GANG 🌍” with the handle @world_record_egg. On Jan. 4, the account posted a picture of a brown egg with the caption, “Let’s set a world record together and get the most liked post on Instagram. Beating the current world record held by Kylie Jenner (18 million)! We got this 🙌”. The Kylie Jenner reference was regarding the picture of her daughter Stormi that she posted just five days after giving birth on Feb. 6, 2018, which quickly became the world’s most liked picture at the time (18,687,405 likes). As the egg gained popularity with many high profile Instagram accounts that have thousands - if not millions - of followers, some began to catch on to the trend posting their own versions of the egg. For instance, The Ellen Show’s Instagram posted a picture of the egg with Kylie Jenner’s face on it with the caption, “According to my calculations, this will be the most liked Instagram post ever! The egg + @KylieJenner = 51,000,000 likes minimum.” High profile accounts such as Ellen DeGeneres’s helped the photo gain extreme popularity in a short period of time. Kylie Jenner responded to the egg beating her photo on Instagram by posting a video on her Instagram with the caption, “Take that little egg.” In the post, Kylie Jenner videoed herself outside cracking a brown egg on the hot pavement. After becoming the most liked picture on Instagram, the egg recognized its Instagram community by posting on its story, thanking everyone who had liked the original picture of the egg, as well as saying, “It doesn't end here though, we're only just getting started.” Over the next few days, the egg Instagram account posted two new photos: one on Jan. 18 showing the egg just slightly cracked at the top, then the second on Jan. 22 showed the egg a little more cracked in the same area. There are now new Instagram theories of who or what is going to come out of the egg when it cracks and curiosity about which social media influencer the egg might target next. 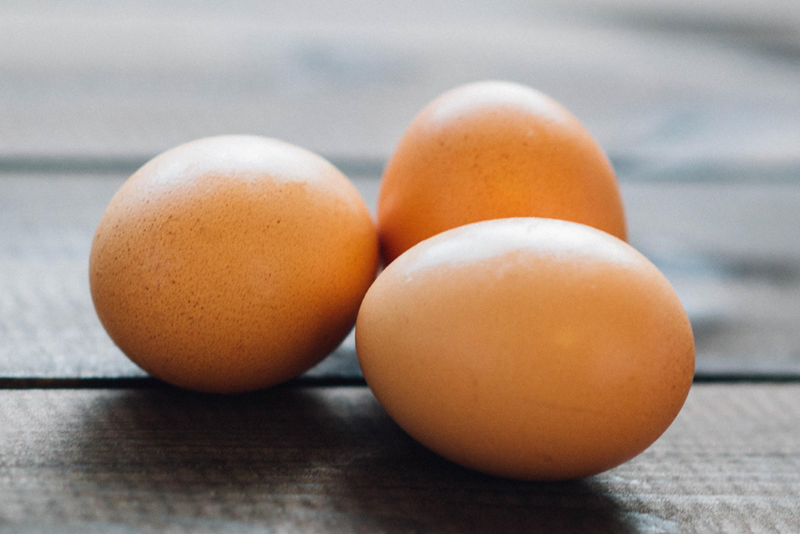 The egg versus Kylie Jenner trend was an interesting way for the social media world to start 2019, but the storm has started a conversation across social media showing that something as minuscule as an egg photo can shake the internet and become more newsworthy and influential than many celebrities, brands, and influencers.